Concrete removal, demolition, and breaking are essentially one way of saying the same thing to us. Concrete removal is one of our premiere services that we offer here at BCI. Regardless of the size of your concrete removal project we have the equipment, resources and know-how to get the job done correctly and competitively. With tools and equipment ranging from bobcats, breakers and back-hoe’s, we have removed over 1 million tons of concrete in the last ten years. 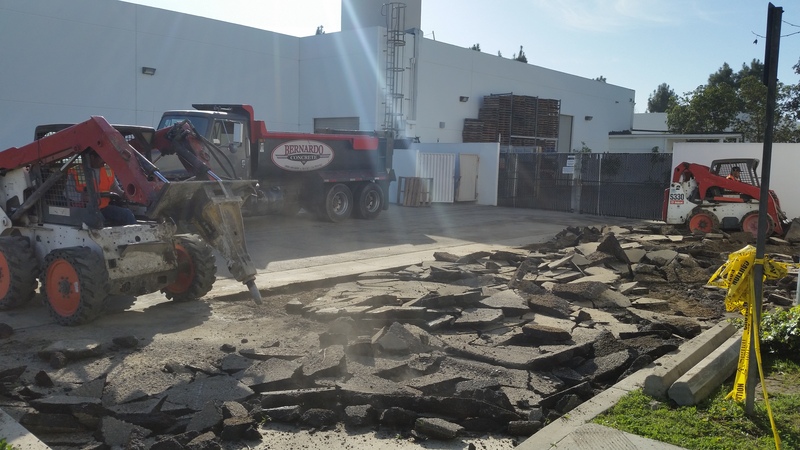 In addition to concrete demolition we can also break and remove asphalt, grass, brick and countless other materials from your project site. Please feel free to call and ask for our estimator, if you have any questions in regards to this or any other of our concrete services. B.C.I service areas include Orange County and Los Angeles County as well as Riverside County California. Call Toll Free Today 888-499-0899. At BCI concrete demolition is always done in house, with our own employees, and our own equipment. Whether your project is indoors or out, BCI has the experience to get the job done fast and efficiently. We have done removal projects all over Southern California from residents to warehouses, and industrial complexes. Bernardo has a vast range of experience working with property managers, mall owners, & HOA’s to name just a few customer types. Concrete demolition sometimes requires a special knowledge of pipes or wires running below your parking lot or slab, be confident that we at BCI understand this and work closely with dig-alert and municipalities to avoid these problems. Also BCI is fully licensed and insured including workers compensation so that you’ll have piece of mind knowing that you have hired a professional concrete demolition company. 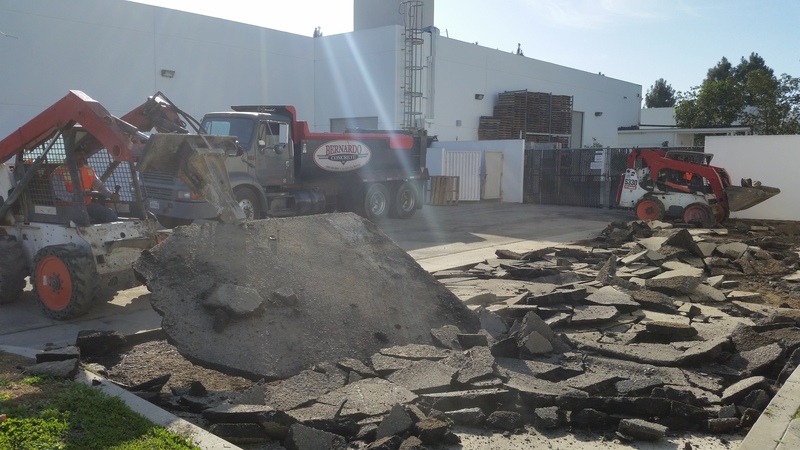 Sometimes our customers have the ability to breakup their own cement foundation or slab, but do not have the equipment to get it hauled to the appropriate place. Whether that is the dump or a recycling plant BCI has the ability to handle that task for you. All of BCI’s dump trucks have covered load beds, proper lessening and proper registration. When you see a BCI truck on the road you see the pride we take in maintaining all of our equipment. It should be clean, organized and ready for work. We are constantly monitoring all of our truck driver’s records and all vehicles are gps tracked for speed violations and service areas. If you have any questions regarding any of our concrete construction services please feel free to send us an E-mail or give us a call. We would love to earn your business and we know how to meet even the most stringent of standards.